Dan Brown’s latest blockbuster, The Lost Symbol has Professor Robert Langdon on a frantic quest to solve impossible riddles, trying to save the life of the leading Freemason in Washington D.C. Brown is as keen as ever for readers to know that “all the organisations in this novel exist, all the, rituals, science artwork and monuments in this book are real”. 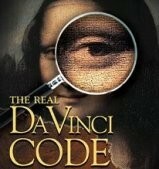 In this sequel to 2005’s programme The Real Da Vinci Code, Tony Robinson sets off to find the truth behind these claims and the novel’s plot. On his journey Tony must grapple with a world of impenetrable symbols and untangle the Freemasons’ strange involvement in the creation of the USA. He criss-crosses the Atlantic as he digs deeper and deeper to answer key questions thrown up by this complex novel. Did the Freemasons create the United States of America for their own secret purposes? 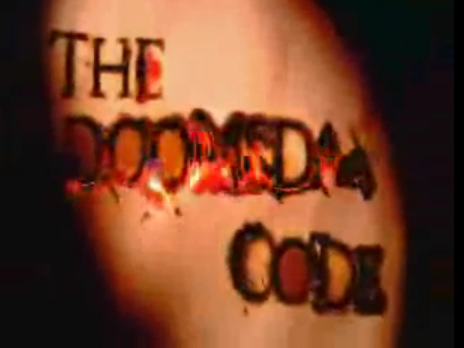 Did they encode strange symbols into the streets and structures of the nation’s capital? What could they have learnt from 17th century alchemists like Isaac Newton? Can Tony use the power of his mind to move objects? 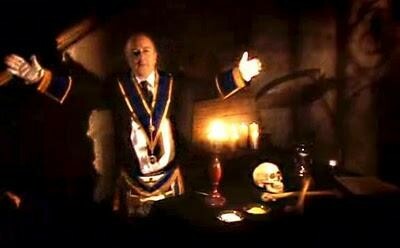 And are the Masons really still powerful today? Tony Robinson visits the United States, the Middle East, the Mediterranean and Africa to uncover the realities behind the terrifying vision of the end of the world in the Book of Revelation. It’s author wrote it sheltered in a cave on the Greek island of Patmos, probably a refugee from Roman occupied Palestine. He is also likely to have consumed the local hallucinogenic magic mushrooms. So rather than taking these bizarre visions literally, it might make more sense to try to understand them in their historical context. There are some 40 apocalyptic books from this era but this was the only one that made it into the Bible. As is usual with Tony Robinson’s programs Doomsday Code focuses on Tony’s opinions of the people he is observing, in this case Christians and Jews who support the state of Israel’s continued existance. Be prepared for an info-tainment program not a balanced documentary and you won’t be offended. Tony Robinson embarks on spectacular walks through some of Britain’s most historic landscapes in search of the richest stories from it’s past. Episode 1 Stonehenge – Tony embarks on another expedition through some of Britain’s most historic landscapes. He begins with a 45 mile walk across Wiltshire, from Avebury to Stonehenge, telling the story of the remarkable development that occurred in the latter days of the Neolithic era. His route over chalk downlands and Salisbury Plain takes him through one of the greatest concentrations of prehistoric sites in Europe. Tony Robinson embarks on spectacular walks through some of Britain’s most historic landscapes in search of the richest stories from it’s past. Episode 3 Cornwall – Tony takes a four day trek along the coastline between Plymouth in Devon and Falmouth, learning about the thriving smuggling trade in Cornwall during the late 18th century. The area’s tiny secretive harbours, beaches and secluded coves were ideal for illicit imports such as tobacco and brandy, and the business was so huge it threatened the national economy. Along his route, visiting such beauty spots as Lantic Bay and Polperro, he encounters all sorts of reminders of the trade and meets descendants of those involved. 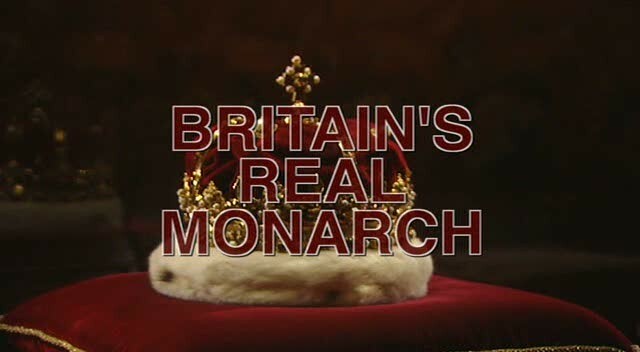 This documentary argued that all British monarchs since Henry VII of England did not have a valid claim to the English throne. The programme based its thesis on the centuries old claim that Edward IV was illegitimate, born to Cecily Neville by an English archer while her husband, Richard, Duke of York was elsewhere in France fighting. The legitimacy of Edward IV was the subject of speculation at the time, and a document in Rouen Cathedral is presented by Dr. Michael Jones as indicating that Richard, Duke of York, and Cecily Neville were a hundred miles apart during the five week period when Edward’s conception must have occurred. This theorised illegitimacy of Edward would bar a rightful claim for himself and his descendants.